Are you looking for a unique way to attract footfall to your business? Do you think traditional ways of calling out to people in the middle of the market or an exhibition can bring customers? 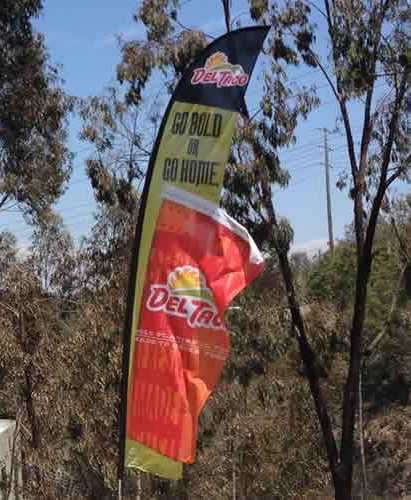 If no, then go for custom made flags that enhance the visibility of you venture. Gone are the days of having a clear voice, so that you can shout and attract customers. In this world of fast activities and colourful ways, you can seduce potential customers by high reaching and colourful flags. Imagine, you are going down the road and your eyes fall upon a colourful display at a distance. I doubt if you will be able to control your curiosity. I don’t blame you. I would have done the same thing in your place. 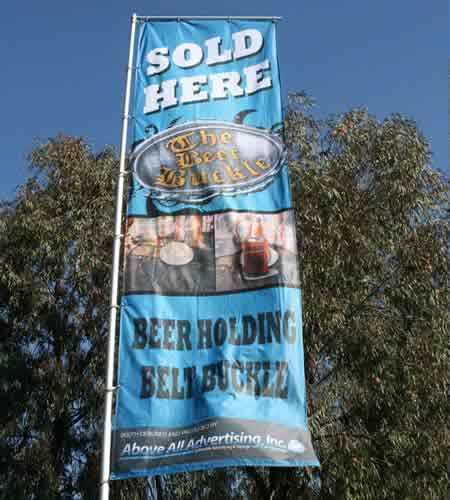 So, you walk down to take a better look at the flag and discover that it is just an advertisement with more in store. Your curiosity gets the better of you and you walk a couple of steps more to enter an establishment. Wait a second. Not all of these are so big that you can see them from a distance. If you want, you can get your hands on smaller ones that are easy to carry. It does not require to be mentioned here that these flags are generally easy to handle. Being flexible, you can carry them to any place you desire. It does not matter whether you go to an exhibition in any part of the world. Custom made flags are like a faithful dog that follows you anywhere you take it. Behold the flag your neighbour displays in front of his office. If you think it is new, I am sorry to prove you wrong. It is the same old flag he bought five years ago to advertise his failing business. No sooner did he install it, more and more customers entered his office and he became a successful businessman. So, the ultimate thing is that the material that makes these flags, are strong enough to endure the wrath of nature in the form of sunshine, wind and rain. 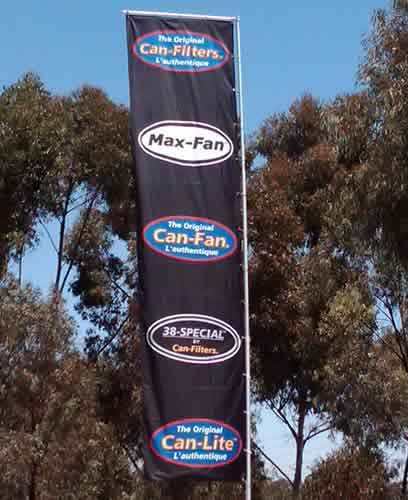 High quality polyester ensures that the flags stay as it is for years. Whether it is a business, school program or anything; you need to draw the attention of people. You have no other way but to use custom flags. Not all schools have the budget to sustain the financial thrashings of a television advertisement. What can be better than a flag that comes at an affordable rate and does not pinch your pockets?